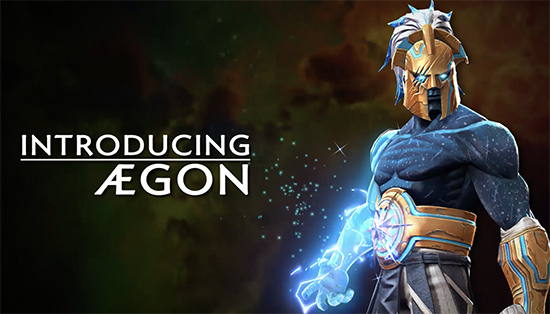 Born to a pacifist race forced into slavery by the Master of the first Contest of Champions, Ægon always defied the strict code of nonviolence amongst his kin. He secretly trained as a gladiator, inspired by love and duty to win The Contest and free his people. Against all odds, he fought his way to the final battle against the Master and won.